Kobra OBD2 scanners are quite reliable and easy to use. The company is known to make customer-friendly products and enjoys good credibility. In this review, we’ll have a look at some of the best products from Kobra. 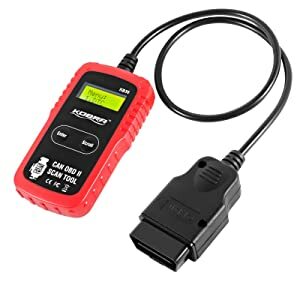 The Kobra OBD2 Bluetooth scanner allows you to diagnose, read, and reset engine trouble codes in a few seconds by connecting to your mobile devices. Bluetooth Connectivity: Corded obd2 scanners can sometimes be a bit difficult to operate, especially when the cord is short. However, there’s no such problem with the Kobra OBD2 Bluetooth scanner. You can make a connection between the scanner and your Android or Windows phone/gadget in seconds. It supports various paid and free apps including OBDLink, Torque, ScanMaster Lite, and OBD Car Doctor. Read And Reset Engine Codes: It helps you identify and solve engine problems by reading codes. You can also use it to get rid of the CEL. DTC: It contains a huge database of more than 3000 codes. It can diagnose manufacturer specific and generic codes in the blink of an eye. Live Sensor: With this feature, you can find out the air flow rate, fuel system, engine RPM, fuel pressure, intake manifold pressure, and O2 sensor readings as well. Car Code Reader seamlessly works with the Torque app, OBD Link, ScanMaster Lite, OBD Car Doctor and many more. 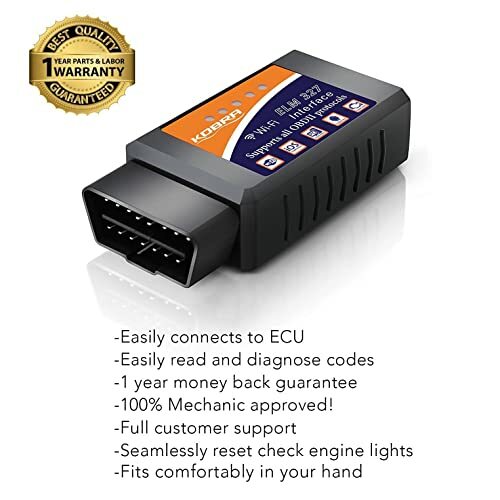 This Kobra OBD scanner supports all obd2 compliant cars manufactured between 1996-2019 including American, Asian, and European brands. The scanner will not work properly if the app is not updated. The process can be quite confusing for some user as it requires all settings to be updated individually. Plus, you may only be able to update the app through a WiFi connection. Supports a wide range of apps. Stable connection with the right app (Torque, OBDLink, Dashcommand). Offers access to real-time engine data. Compact design; doesn’t occupy much space. Updating the app can be a bit of trouble. Kobra OBD2 Scanner Bluetooth is suitable for beginners. It offers a bunch of basic functionalities and provides reliable results. This Kobra OBD2 wireless scanner works on not just Windows and Android devices but iOS devices as well. CEL: Kobra obd2 WIFI will let you diagnose check engine light codes and display the code definition as well. It will let you find and fix the problem and once you do, you can reset engine light. CONNECTS TO ANY IOS, ANDROID AND WINDOWS DEVICE VIA WI-FI. Extensive Database: The scanner offers 3000 code definitions to help you understand what a problem is. You will not have to waste hours Googling codes to find an explanation. Best Apps: The right app largely depends on what you want to do. Torque Pro is suitable for Android devices. 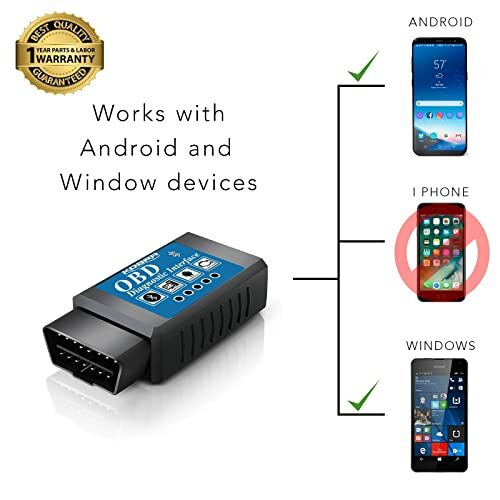 OBD Doctor works the best for Windows devices. Fusion and Dashcommand are excellent choices for iOS devices. 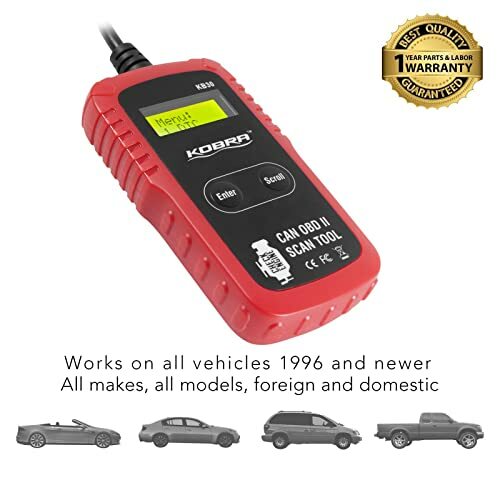 This Kobra OBD2 scanner covers all obd2 compliant US cars and light trucks made between 1996-2018. Make sure that the app is up to date or you might face some connectivity issues. Lightweight and compact (doesn’t take up much space). This Kobra OBD scanner is for people who want to solve minor problems on their own. This corded Kobra obd2 scanner is reliable and provides good results. CEL Codes: With this tool, you will be able to read and clear engine trouble codes without any difficulty. It works at a good speed and also allows you to reset the light. Plug And Plug: It involves no complex controls or settings making it a good option for beginners. Plug it in and you’re good to go. Booklet: The device comes with a booklet that contains code definitions. You will be able to take care of minor car problems on your own by finding detailed explanations in the book. This tool supports all OBD2 and EOBD compliant vehicles that are manufactured in 1996 and later. It covers a large number of US, European, and Asian brands. KB30 One click reset the Check Engine Light scanner. This device supports major OBD protocols as well including CAN, VPW, PWM, ISO, and KWP2000. Light in weight hence easy to handle. 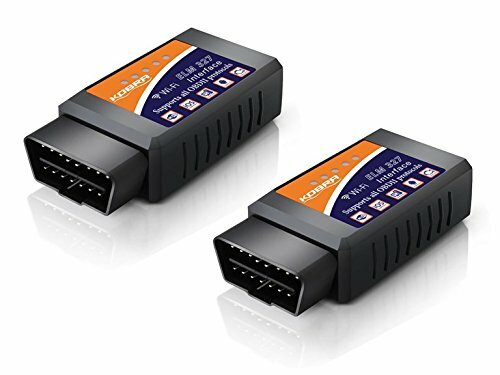 The 16-pin connector fits perfectly on all OBD2 compliant cars. The cord is of high quality. Offers reliable and accurate readings. This corded Kobra OBD2 scanner is ideal for beginners who want to solve minor vehicle issues on their own. These were some of the best Kobra OBD2 scanners. They’re all basic products and suitable only for beginners. Pick one that suits you the best. Why am I not able to connect my Kobra OBD2 Bluetooth scanner? This is a common problem with Kobra scanners. It’s mainly caused due to not using the latest apps. Update the app. Close and relaunch the app after updating it. At times, the app may not work until it’s restarted. Plus, restarting the device and phone may also be a good option. While keeping the ignition system off, plug in the scanner. Now turn the ignition on and go to Bluetooth settings and connect Bluetooth by entering the pairing code “1234” or “0000”. Wait for 15 seconds and it would connect. If it still doesn’t connect, force shut the app and relaunch it. Repeat the above the steps. 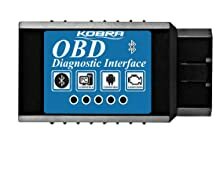 How Do I Connect Kobra OBD2 WIFI scanner? Plug the device in once you have downloaded the app on your device. Go to app settings and click on connections. Choose WIFI_OBD and get started. What kind of warranty does the company offer? All Kobra scanners come with 1-year money back guarantee. The company will issue a new product or a refund if you’re not satisfied with the device. You will not have to face any problem in dealing with the company as it is known to offer excellent customer support.